I haven’t changed my phone wallpaper in almost two years. My dad captured this moment only a couple of days before Tori went to Heaven and it’s the last non-selfie photo I have of me and her together. I have had no desire to change it because it’s comforting to me. I like that it’s always there, easy to find, and that it represents the deep trust she had in me. I like that it’s the same photo day after day. This pregnancy has been both similar and different to my pregnancy with Tori. In many ways, though it was still relatively easy, hers was more complicated. Both pregnancies were/are easy in regards to no morning sickness, little discomfort, no swelling, etc. I do not take it for granted that my body seems to like pregnancy! I had excess amniotic fluid (because of the GD). I gained over 30 pounds. My hips caused me pain constantly. 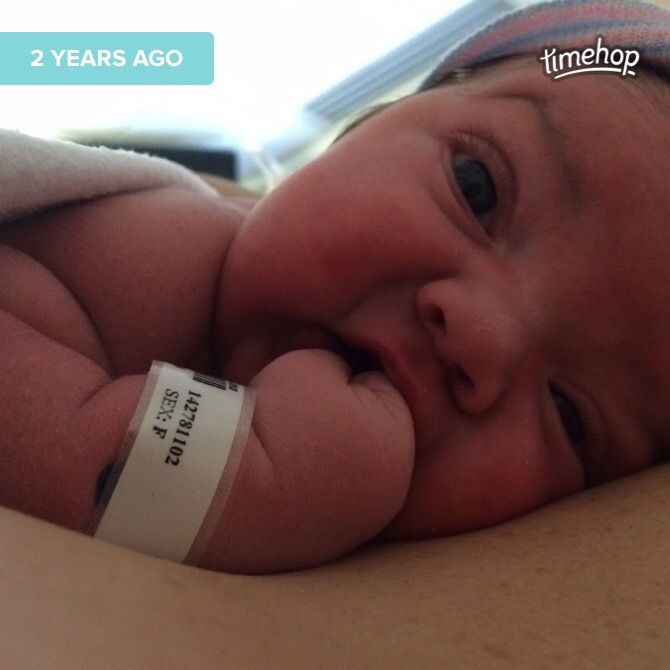 She would sleep through non-stress tests, triggering multiple ultrasounds each week. 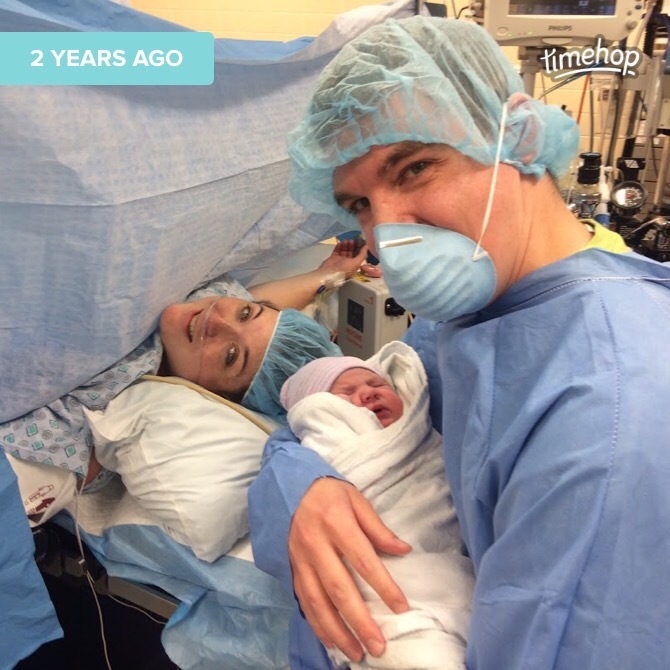 I tried to deliver her naturally and ended up having an unplanned c-section. When we found out that we were having identical twins (mono/di), we immediately assumed that we were in for a rough ride. And, thus far, we’ve been completely wrong. I passed my glucose test! My fluid levels are normal. I have only gained 20 pounds. My hips only hurt while trying to sleep. Even though I have ultrasounds every other week, everything is going as smoothly as possible! No complications; good, steady growth; very active; healthy boys. This c-section is scheduled, and I am happy about it this time! I had prayed that God would let us have the easy road this time, and while we’re not in the clear until they are born, so far He has blessed us with a normal pregnancy, and we are beyond grateful. I needed this. We’ve begun to realize that everything about what’s going to happen in April is completely different than with Tori. And we need these differences, too. 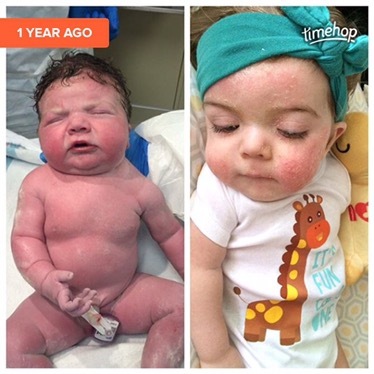 We have no reason to fear the future with the twins and yet we are going to be waiting…for the NBS results, for the 5/6 month mark (when Tori’s symptoms surfaced), for them to surpass her life of 19 months and 27 days. I think until we hit that mark we will wonder if the genetic testing was wrong, if the Newborn Screening was wrong, if things are going to be the same as they were with Tori. The boys are going to learn to crawl, talk, walk, run, play…things we can’t even imagine because Tori was robbed of those opportunities. I can’t wait (and yet I can) until they are mobile and able to get away from us – something Tori never could. Usually the status quo brings comfort; in this case, the differences are refreshing. And we need them. I wonder what I will do and how I will feel when the boys are here in regards to my phone wallpaper. I imagine that will be an emotional moment, even if the new photo incorporates Tori in some way, because it will be a reminder that she is in Heaven and not here with her brothers. But, as we move forward in our new adventure, we know that things are going to change, that change isn’t bad; that things are going to be new and wonderful, even if bittersweet, and we will learn to embrace the change and the joy that these precious boys will bring to our lives. Now that my book is available for pre-order, it feels slightly weird to promote it. I worked for nearly three years on this project, and yet I am hesitant to post about it. Most of us are raised to be humble, to not ever come across as self-promoting or a braggart. We’ve somehow received the message that you can’t talk about the things you’ve done. The problem with this is that there’s a difference between arrogant bragging and joyful accomplishment. One of my favorite authors, Jon Acuff, has talked about this many times. To paraphrase him, if I don’t share about my book/work, WHO WILL? One of the aspects that makes it far easier to share about my book is this: I am making hardly anything off of it. Does that surprise you? Most authors make around 10-20% from the purchases of their books. Brennan and I will make less than $2 per book before taxes, AND we’re donating a portion of that $2 directly to Hunter’s Hope Foundation. For us, it’s not about the money – it’s about the mission. The mission is to make Krabbe known by any means possible, to hopefully increase awareness and multiply the Newborn Screening states (currently only SIX screen), and to provide as much money to Hunter’s Hope Foundation as possible as they advocate for Newborn Screening and support leukodystrophy families. And, of course, to tell Tori’s story in hopes of encouraging others. That’s why I wrote this. It’s not about the money (though we wouldn’t complain, of course! 😉 ) – it’s about awareness. So, if you’d like to purchase Even So, Joy you can do so directly through the publisher (for now) or through Amazon. You may see me posting about this often, and that’s simply because of the algorithms of Facebook and other platforms. Some see all my posts, some see none. By posting often, I hope most will see it at least once! Please help us spread the word and #MakeKrabbeKnown and leave book reviews on Amazon, Barnes & Noble, GoodReads, etc. once it’s available! Use the hashtag #EvenSoJoy if you share on social media! It’s inevitable lately: when meeting new people who don’t know about Tori, they will ask if this pregnancy is my first. Since I recently started a new job it’s happening fairly often. The first few times took me by surprise and I had to think quickly about how to answer: I could be truthful and tell them about Tori, or I could be mostly truthful since this is my first TWIN pregnancy and just say yes to avoid the uncomfortable truth. So far, I’ve opted to just tell the truth, short and sweet, and allow the potential awkwardness (from their end) to exist. I look at it as an opportunity to tell others about Krabbe, about Tori’s amazing life, and about the faith that has sustained us. In each instance, I recognize that I have a choice: I can be truthful with joy or I can be truthful with pain. I can embrace the joy we have found or I can be miserable. I continue to embrace joy. The Sovereign Lord is my strength! able to tread upon the heights. The Bible makes it abundantly clear that things are going to be imperfect here on earth. Once sin entered the world, it was inevitable that life would be terrible at times. Things are going to go wrong, our hearts are going to hurt, and sometimes it will seem unbearable. But, the Bible also makes it clear that it can still be well with our hearts and our souls no matter what comes our way because all of this is temporary. Imperfect life on this earth should make us desire the perfection of what’s to come in Heaven. Our God is a God who redeems. He is worthy of all our praise, even when circumstances don’t appear to be praiseworthy. He knows the full story while we only know this current chapter. You have a choice to make daily just like me; though our circumstances may be different, I know your life isn’t going perfectly. Joy is something to be chosen and embraced in the uncertain times, in the “even though” or “even if” moments. For it is then that our faith grows stronger and we are reminded of God’s love, and the least we can do is share it with those who need it the most. Always be real and genuine, of course, but always be pointing others toward the hope and joy we have in Jesus. It has been said that light shines brightest in the darkness, and this has certainly been proven to be true in my life. Our decision to choose joy after losing a child stands in stark contrast to the way much of the world would react. And that’s kind of the point. We should be different as Christians in this world. I will continue to be honest and share that the twins are actually child two and three for us, not our first. I will embrace the potential discomfort and awkwardness that the other person may feel and I will point them to the glory of the Lord and the hope and joy He brings. The common theme of the past six months has been hurdles. Things haven’t been going as smoothly as we would like and we’ve come up against some significant challenges. Buying this house came with one obstacle after another and cost more than we anticipated not only to buy it, but to do the necessary renovations (that still aren’t done because we ran out of money). It seems like all of our Dave Ramsey progress was lost and we’re having to start over again in our process to becoming debt-free. We drained our savings (and our HSA) to pay for IVF (though MUCH of the cost was donated by generous and amazing people and we are SO very grateful! ), and it’s tough to rebuild it. We started an AirBnB in the apartment upstairs and have LOVED running it. It has brought joy to us and to the families and single mothers we have been able to serve and bless through this venture. It has also been hugely beneficial financially. However, two of our neighbors are “uncomfortable” with the idea for ridiculous reasons (they don’t understand AirBnB at all, essentially) and they filed complaints with the township. We were forced to make a decision to either pay $450 and wait three months (and go to two zoning board hearings) to try to be rezoned for this type of use (no guarantee of approval), or give up and just get a tenant (less income, loss of the opportunity to help others enjoy Hershey and run an AirBnB; loss of space to host family and friends and bands (through RYFO.org) upstairs). Ultimately, we’ve decided to try to find a tenant because some battles aren’t worth fighting. The township needs to modify their rules about AirBnB instead of trying to make it fit into other molds and making it impossible for residents to do. I am proud of my letter to the township supervisors and hope that it will make a difference in the future for property owners to use their property as they choose. I haven’t had much time to finish my book proposal or to find an agent, even though my manuscript has been complete (and edited) for six months. I’m struggling to remain positive about it being published, even though I believe that the Lord led me to write it for that purpose. I am committed to do many good things, but finding a balance and remaining disciplined has been a challenge. Even so, it is well with our souls. We thoroughly enjoyed our trip to California, Oregon, Washington, and ALASKA in June and returned home feeling rejuvenated even though the trip was exhausting. Seeing the beauty of God’s creation and spending treasured time with family was worth every lost minute of sleep. We found out that we have THREE embryos (out of the five) that are healthy! Two are not even carriers of Krabbe! The fourth embryo needs to be retested, and the fifth has chromosomal abnormalities that are not survivable. We are thankful for these 3-4 and will hopefully do the first transfer in August. Thanks to my dad spending two weeks out here, we’ve nearly completed the basement projects (laundry room/bathroom drywall and paint, etc.). We’re going to be ready for hosting bands and other guests so soon! Since we’re giving up the AirBnB this space will allow us to continue to minister to bands through RYFO – an amazing network of host homes for touring musicians. Brennan and I are trying to become much more disciplined than we are currently in every area of our lives. It’s a struggle but we must overcome and become self-disciplined. Through it all, my heart has remained at peace because I trust the Lord completely and I have absolute faith that this is all happening for a reason. As the popular song states, “Let go my soul and trust in Him, the waves and wind still know His name…” He is still on the throne, He is still in charge, and, most importantly, He still LOVES us. In those moments when I feel worry start to encroach on my peace, I stop and pray and remind myself that He’s got this. And so we press on, knowing that it will all turn out alright. Our Tori has been a resident of Heaven for one year as of tomorrow (March 27). It’s surreal, to say the least, to think that we have lived one year without her in our arms. 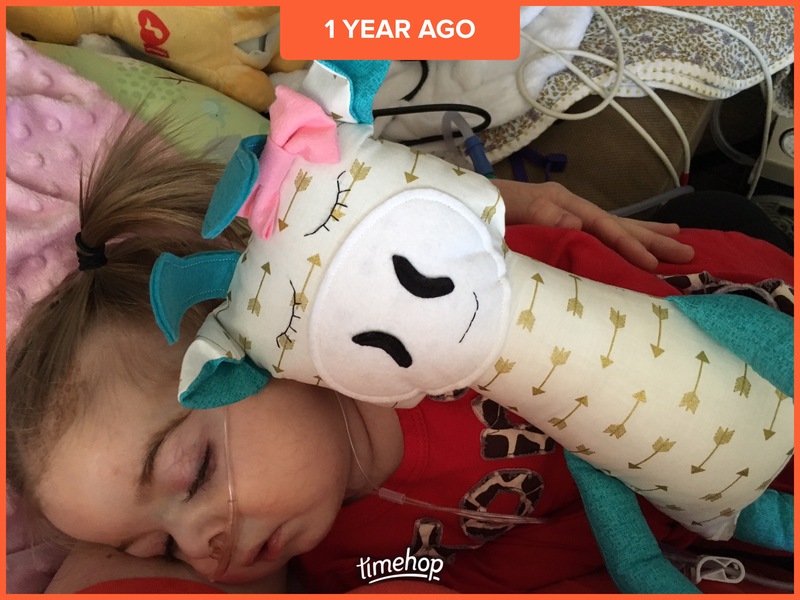 One year without watching her breathe, sleep, and struggle as Krabbe overtook her fragile body. 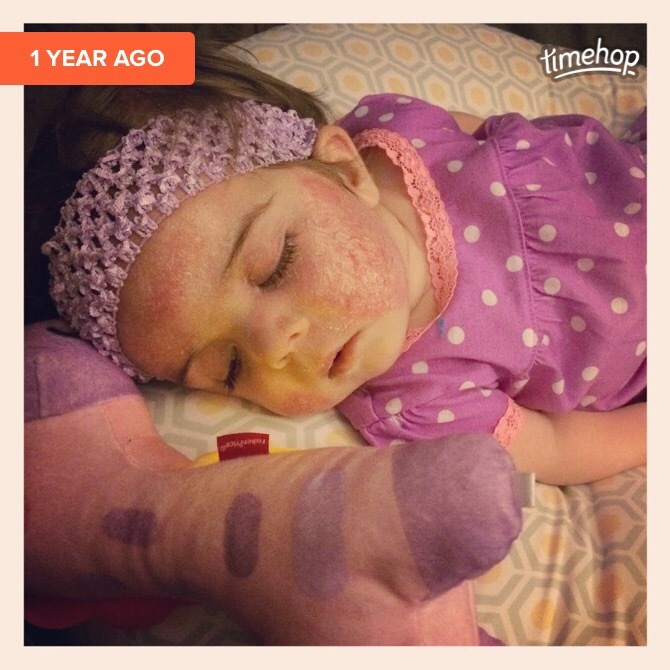 One year since she was healed completely and made whole once again. Why is it that today, the day before the one year anniversary of Tori’s Heaven-going, my heart feels so heavy? She was gone yesterday, she was gone two months ago; nothing has changed, but for some reason this milestone brings back emotion. This is a rhetorical question, of course. Time is strange in that it heals but it also reminds you of what you once had more strongly as it passes. We’ve pondered how to spend March 27 for months now, and we came up with an idea last week to return to the Philly Zoo to feed giraffes. However, we won’t be able to do that until April 17, so tomorrow we will celebrate her Heaven-going anniversary by eating fried apples at Cracker Barrel (her favorite!) and remembering her with joy. We refuse to sit at home and be sad – that isn’t how we lived life with her and that will not be how we live life without her. We taught her to embrace life and choose to be joyful, and that’s what we will do tomorrow. We remember God’s faithfulness and perfect guidance the ten days before He called her home and are filled with gratitude.